Various medium-size and small organizations are using the Sage 50 software increasingly. Daily tasks related to finance and accounting becomes easier with it. Not only it makes work fast & efficient, it is easily understandable by a non-accounting person too. No wonder, its popularity is growing with time. Occasionally you might come across doubts and would want to know the steps in detail. 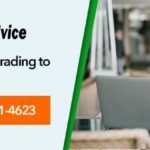 In such cases, it is best to contact knowledgeable Sage 50 technical support experts of accountingadvice.co team on the toll free number 1800-961-4623. Let us discuss one such doubt that crops up while working on Sage. Please note that it is important before following the below mentioned advanced methods to take a backup of the data. Moreover, it is best to take help from technical professionals to understand the process. A Sage expert or network administrator can understand the whole process and explain you in turn in a better way. Let’s discuss in detail how to add the QuickBooks data to an existing Sage 50 Accounting file. Choose and open your company in QuickBooks. Choose File, Utilities, Export, then Lists to IIF Files. Choose a suitable file name and save it in a known location. Again choose and open your company in QuickBooks. Choose and save all items one by one. The usual import list files of Sage 50 are customer List, vendor List and employees list. Open your company in Sage 50. Make sure that you are in single user mode. Go to File, Import/Export, then Import Records. Creating a backup of the data before importing is important. Select the item you want to import, related to what was saved from. Go to the location of your exported .IIF files from Quickbooks. Select all that apply in the same window. Click Next to start the import process. Go to Finish to complete the process. However, please note that the transactions don’t get converted nor dollar amounts. Also, the addresses are interpreted by a comma after the first line of the address because QuickBooks does not have separate fields for state data or province data. Therefore, it is important to make sure that there is a comma between the city and the state/province in your addresses. Chart of Accounts can also be transferred from QuickBooks but it can be done only while importing it into Sage 50 Accounting while creating the company file. A list of records and some company info from QuickBooks to Sage 50 can be transferred when a new company is created in Sage 50. QuickBooks 2011 or 2012 to Sage 50 Accounting 2013 or 2014. Please note that you can import but not convert QuickBooks 2013 to Sage 50 Accounting 2013 or 2014. QuickBooks 2011 to Sage Simply Accounting 2012. QuickBooks 2010 to Sage Simply Accounting 2011. QuickBooks 2006 or 2007 to Simply Accounting 2010 (CDN version). QuickBooks 2007 or 2008 to Simply Accounting 2010 (US version). No conversion tool is available for QuickBooks 2008 and 2009. What to Check Before Conversion? Company data and the QuickBooks program should be installed on the same PC that is used for the conversion. The date format used for Windows’ Regional and Language Options and your QuickBooks company should be same. Export the Employee list and payroll items to an IIF file if your company uses payroll in QuickBooks. The employee payroll details and info about the company’s incomes and deductions will not be retained if this data is not exported. Open the Sage 50 and Create a new Company by selecting the option. Select Finish and the conversion wizard will start. Review the conversion checklist after clicking on Next. Browse to choose your QuickBooks company file. Select the info you want to convert and click Next. QuickBooks company should be open..
Fiscal year dates have to be verified and click Next. The file name and location of your Sage 50 company has to be entered, and click Next. The summary information has to be reviewed, then click Next. 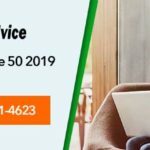 Sage 50 will then create your new company. Then open or print a summary of the conversion process. Go to Next and then Finish. Sage 50 does not work like QuickBooks. Therefore, checking your Sage 50 settings and records is important to make sure that your company was set up accurately. You can also convert instead of importing to Sage 50 Accounting. IIF export files from QuickBooks versions 2001-2013. MYOB® versions 10 and 11. Quicken versions XG 2003, XG 2004, and XG 2005. In case of detailed discussion about how to add data from QuickBooks to Sage 50 , contact accountingadvice.co. You will be contented by the speedy resolutions of the proficient team. 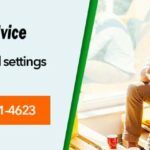 The accountingadvice.co is a specialized team of Sage experts who can guide you step by step regarding any doubt related to Sage. The team can give tips too on how to use the software in a better way. They are available 24*7 on the toll free number 1800-961-4623 Call now. 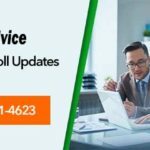 Next post: How to Prepared and Install 2018 Tax Updates in Sage?